Hi all! 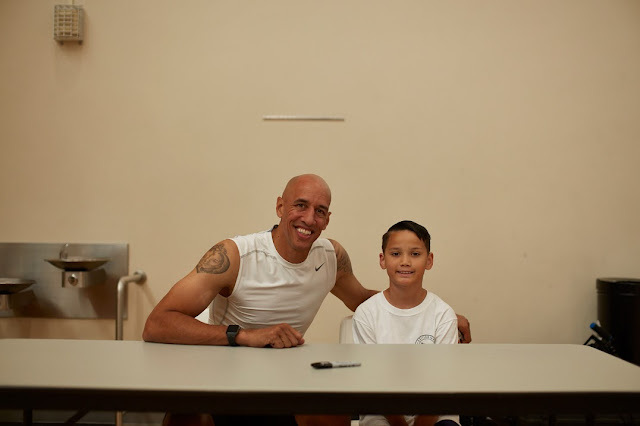 I wanted to tell you about the time my son was in a Pizza Guys commercial with NBA Kings legend and sports caster Doug Christie. 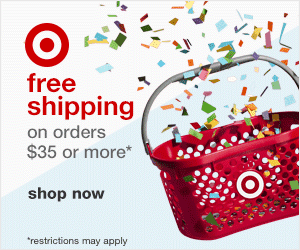 The shoot took place last summer but I wanted to wait until the actual commercial came out before blogging about it. 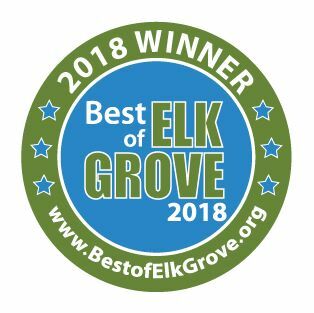 It was a super exciting experience! We didn't know who the Kings player was or what would be happening in the commercial. It just said to have the kids come in athletic gear. We showed up at the Wackford and Brady was given a t-shirt after I signed a release. As I looked around the room, I noticed that there were a bunch of kids who looked under 10 and I felt really bad for not letting Parker be in the commercial too but I follow directions, what can I say? After a little while, Doug Christie showed up! I was FLOORED! I used to LOVE the Kings back in the early 2000's. I call them the Glory Days of the Kings and I thought each member of the team was amazing! I may have been secretly hoping it would be Bobby Jackson since I not so secretly had a crush on him. The commercial shoot was REALLY cool! 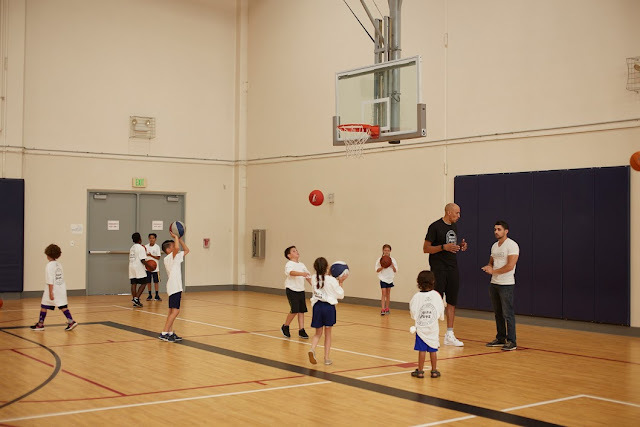 Doug Christie (in my brain, I use his whole name so that's what you get in writing too) literally walked the kids through a basketball camp. They warmed up. They practiced playing basketball. At one point I saw him lift a sweet little boy with down syndrome so the little guy could dunk. It didn't feel like a commercial at all. It felt like a bunch of kids having a great time playing basketball. 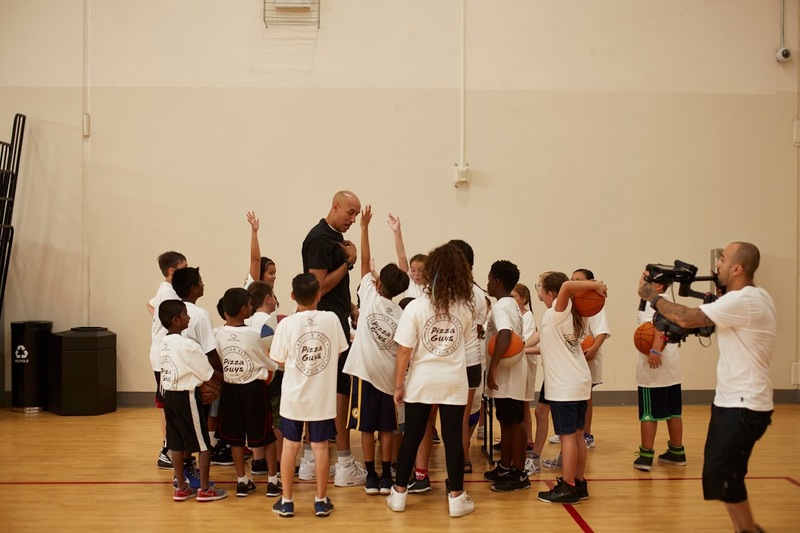 Doug Christie was SO encouraging to the kids! It was such an honor to meet him! He seemed like the most genuine, kind hearted person! Then, at the end, the Pizza Guys truck made a bunch of pizza and each group of kids had a turn to go up to the table to get a slice from Doug Christie. After that, the kids were given all the pizza they could eat and we got to go home. The whole thing only took a few hours but it was an amazing experience! I will leave you with a closing thought. 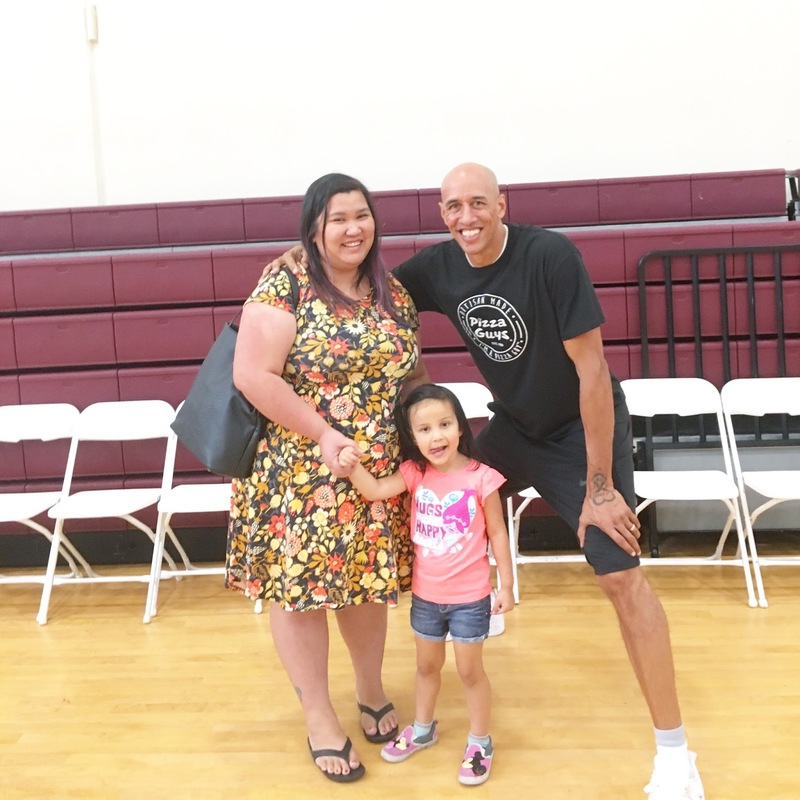 There was a point in the day when I really badly wanted to get a picture of myself and Doug Christie but the kids didn't want to go with me to ask for a photo. I felt silly asking for a photo for myself. But as I sat there and stewed over it, I decided that I NEEDED to ask because this could be my only shot EVER to get a photo. I went up, asked, and got my photo. He was SO gracious! Now, I'm not saying hunt down celebrities and ask for photos but use your best judgment. This was a work type situation and he was on a break so I felt like the time was fine. What an awesome opportunity! I bet that was amazing for all of you! Looks like an awesome experience! I cried when I met my favorite football player haha. My daughter is only 8 months old now, but I'm secretly waiting til she's old enough to participate in all the kid's only events for our favorite football team! How fun! I bet that is something your son will remember for the rest of his life. What a fun experience for your son, glad it turned out so great!